I have been blessed to be either invited to or helping host baby showers for seven moms-to-be within about a month’s time! All the love, excitement, and catching up with old friends makes all the planning so worth the effort! 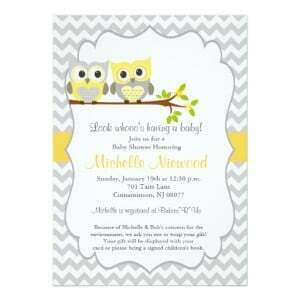 A baby shower is one of the sweetest ways to celebrate the pregnancy and upcoming arrival of a new baby! It’s all the good- the excitement, anticipation, and joy-that surrounds a new baby. A baby shower gifts the parents to be with cute baby bedding and clothing, the latest baby technology and gear, and supplies for feeding, diapering, and helping this new baby sleep! 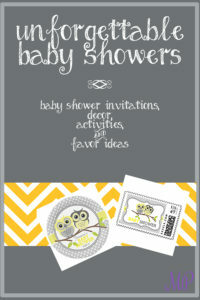 Here’s what I’ve learned from hosting a fair share of baby showers. 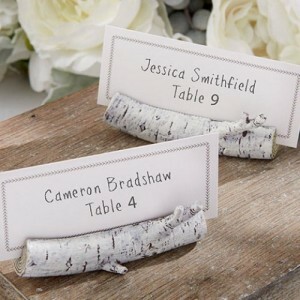 Simple or elaborate- keep the focus on the guest of honor! For invitations, evite works, but a printed invitation for such an occasion is simply classy and a special keepsake for the new mom! 3. Send out invitations a month in advance to give guests a chance to clear their schedules. 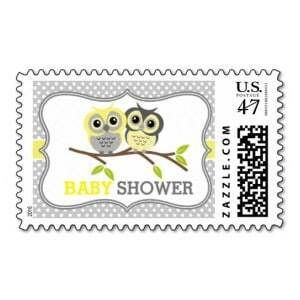 These adorable stamps from Zazzle are perfect! 4. Think about asking your guests to bring an item around a theme, such as books to stock the shelves of the baby’s library. Or, if there is more than one guest of honor, think about filling baskets per mom to be around a theme, such as diapers, so the burden to come isn’t so great. This works great when the shower isn’t for first time moms. Gather your boutique or heirloom baby clothes to hang on a clothesline for décor! No extra cost! Keep the food simple, especially if it is an afternoon shower! Petit fours or cupcakes, snack mix, a little fruit or veggie tray, and a sparkling punch is the perfect amount of food. For those of us who like everything to be coordinated, check out these plates and napkins from Zazzle. Aren’t these great?! There are many customizable options! 3. Solid colored paper products or using your dishes are other great affordable options. Ice Breaker – Have guests write 3 AM messages on the diapers to give new moms and dads a laugh in the middle of the night. Games- Play identify the candy bar! To prepare, place crushed candy bars in the baby diapers. Wrap up the diapers like you are going to dispose of them, and have each guest take turns guessing. Have prizes ready for the winners! 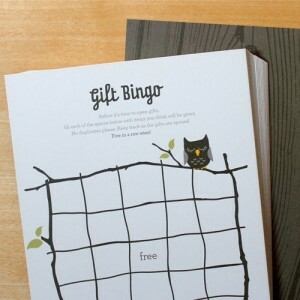 Owl Bingo- Have each guest guess at which gifts will be given by writing them on the game board. The first to get 5 in a row is the winner! Don’t forget a small favor for the guests! For the grandma, this would make her day! 3. These honey jars are adorable, and would be perfect to send home with guests. At the end of the shower, you want to feel like you helped make the day extra special for the mom to be because of all of the love that was shared, and not over the top decorations, in my opinion. These are just a few ideas for making that happen.